Legendary US Bluegrass singer-songwriter and Grammy award winner, Peter Rowan, “the voice of Bluegrass”, returns to Australia with a new album, and a hot new trio, featuring Chris Henry on mandolin and vocals, and George Jackson on fiddle, banjo and vocals. 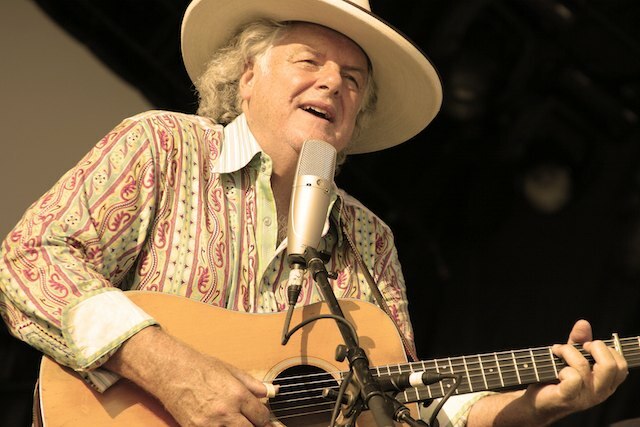 Peter Rowan is a true legend of American Bluegrass, with a history dating from 1964 and his role as lead-singer/guitarist with the father of Bluegrass, the late Bill Monroe and his Bluegrass Boys. Rowan then went on to form the revolutionary Folk/Rock band, Seatrain, which recorded two albums in the UK, produced by Beatles producer, George Martin. He left Seatrain to team up with David Grisman, Richard Greene, Bill Keith, & Clarence White (from The Byrds) in bluegrass supergroup, Muleskinner. He and Grisman moved on to form Old & In The Way with Jerry Garcia and Vassar Clements. Since then Rowan has released numerous albums of mostly original songs, is a Grammy Award winner and six-time Grammy nominee, and has performed and recorded with the likes of Alison Krauss, Jerry Douglas, Guy Clark, Townes Van Zandt, David Grisman, Del McCoury, Flaco Jimenez, Peter Tosh, and Steve Earle. Chris Henry is one of the most highly regarded young musicians on the American Bluegrass scene, the premiere Monroe-style mandolinist of his generation. New Zealand-born Melbourne-based, George Jackson, is a brilliant young fiddle and banjo-player, winner of many awards, including the 2012 Tamworth Golden Fiddle Award, and the Banjo Competition at the 2013 Rockygrass Festival in Colorado. Rockygrass, one of the major US bluegrass festivals, was originally founded by Bill Monroe and the Colorado Bluegrass Music Society. The spirit of Bill Monroe lives on in the old and new music this trio will bring to Australian audiences on this tour. Caught this trio at Petersham Bowlo – simply stunning musicians and musician ship all-round. How Peter Rowan can keep up a tour schedule like this and it his age suggests something about the power of music in ones life. THANK YOU Peter.